Nisha brought to Fogarty Finger her experiences of working for several high end design firms in Manhattan. She previously worked on a wide range of commercial and residential projects for both international and local clients. Her work in the city has allowed her to explore a range of scales from multi-use towers, to furniture and product design. 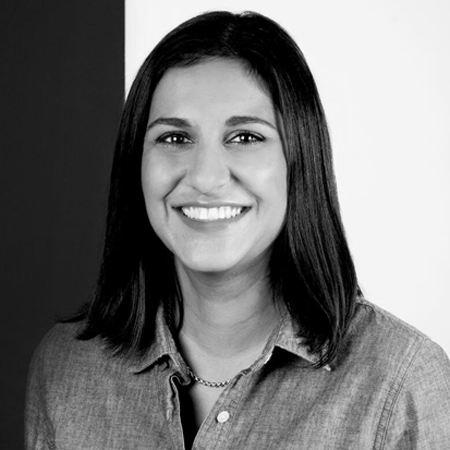 Recently Nisha has served as the Project Architect for Now What Offices here in Manhattan, as well as having overseen construction for the Art House in Jersey City. Currently Nisha is working as the Project Architect for a large, historical, single-family, gut-renovation in Jersey City. Nisha earned a Bachelor of Architecture from the University of Texas at Austin. She is a Registered Architect in the state of New York.